What is the Priestess Path Apprenticeship? Priestess Path Apprenticeship has a rich history since 1998 that stands like an oasis for women who are seeking. Registration is opening now for this year’s apprenticeship in our 20th year. The moment we have been waiting for is here and many of us are coming forward now in our leadership and gifts to fulfill what we know we can be together and alone in this phenomenal moment of history. With support aligned with the greatest longings of our own woman heart, Priestess Path is a woman’s spiritual odyssey to bring forth one’s visions and dreams that will make a difference in the world at this time. This is the time that women have the responsibility to dream the world anew. Using transformational skills women come home to themselves becoming strong anchors in a world looking for truth. Priestess Path women are some of the most committed women you will ever meet because they are answering a call deep inside. She recognizes the value of this journey home and is willing to make it happen. “For nine months I flew from the west to the east coast to be part of Priestess Path Apprenticeship. There hasn’t been any other program that I’ve heard of where there is such a solid foundation for the empowerment of women. It is a gathering of women from all over the U.S. and Canada where we experience in very unusual ways what it is to be a powerful woman. Especially now in this time of huge change there is a need for powerful women…” P.R. Our world is indeed calling for the Priestess to re-emerge as a modern day archetype. From the hearts of women comes the cry for deep planetary transformation all the way down to the DNA threads of existence. We see. We feel. We know the depths of destruction of life happening. We understand somewhere inside, from an unexplainable source, the power of rebirth that is alive in this moment in time. As a woman, awake and alive you are being called to remember who you are and your part in the healing of our world. “We are the ones who we’ve been waiting for!” It begins with one step on the path of commitment. Dive into the deepest part of who you are, and emerge living as you truly are; a daughter of the Goddess on Earth. Devote yourself, one year, to the call of your own wild spirit. Learn to move through fear. Leave the small box behind. Life will never be the same. Many women are resonating with this ancient archetype and feel inspired now to take on the immensity of the task of embodying her. You may feel alone with an inner seed of your own greatness, your own part in the plan of healing our present-day dilemma with little support to bring it forth to fruition yet Priestess Path is the place that backs you up in the company of other great women who are wanting the same. The priestess archetype is a woman who is connected to the earth and to spirit and is in service to her communities sharing a myriad of her skills. This is not a program to vocationally become a “priestess”. Rather Priestess Path is a sacred journey to tap into an ancient archetype who has something to teach us abour our own power and influence in our society at large. Once sought by kings and queens for her wisdom in the arena of war and peace, the society’s ills, the children’s educations, we are bringing her back in us to be leaders of our time. The Priestess Path Apprenticeship will help you grow into this aspect of yourself in mystical and expansive ways as well as practical and grounded ones. Many women use Priestess Path as a platform to anchor her dream to be manifested with the support of a strong circle around her. Join a community of women that have traversed this path now for over a decade on a lifetime journey that you will never forget. A path that may influence your entire life because you are more yourself and able to make choices that determine your destiny, a destiny interwoven with the love of life on earth. The template for you to be an apprentice was mostly destroyed in ancient history. Or was it? Deep inside your psyche, Her temple, untouched, remains within you and the archetype of the priestess awaits you. There is a deep longing to serve the Mother, the Earth, and life here that we love, and it burns with a passion. It is causing you to seek and gather with sisters remembering. This inner school of mysteries is where your training lies. The apprenticeship is a jog to that memory system through symbols that are universal to us all. Initiation is what is before you this year. You will emerge being able to fully stand in your power as a healer, a leader and a woman connected to Spirit. There will be support for your service and gifts in the world so you can be more of who you already are. The Priestess Path Apprenticeship is a multi-dimensional experience. Let your conscious training begin! If you are questioning whether or not to do Priestess Path Apprenticeship ~ sign up. If you have doubts about what the experience is ~ sign up. If you are worried about the money, time, commitment ~ sign up. If you are drawn to the mystery of the divine feminine and the empowerment of women and your own self ~ sign up. If you want to know deep love, heartfelt laughter, and inner ancient wisdom ~ sign up. This is the beginning of a new and beautiful chapter in your life ~ sign up. And to those who think, “But I’ve done so much of that kind of thing before” please, trust me ~ sign up. Such a magical gift awaits you…. Sign Up! For more testimonials look left in menu bar and you can access more. Priestess Path Apprenticeship takes place in various rustic conference centers in Western and Central Massachusetts. The final weekend concludes in the Catskills of New York state. The next session begins in September of 2017. Here are the eight weekend dates for our 16th generation in our 19th year. Please contact us about registering for our 2018 – 2019 program. Priestess Path has been filling often with waitlists for many years. For for more information about our 2018-2019 session or interest in Priestess Path send in a form below. ALisa Starkweather is devoted to women’s empowerment and to bringing the balance of our deep feminine values into planetary alignment for the healing of our world for 33 years of her adult life. She is a visionary, healer and ceremonialist. Aware of her life’s purpose through dreams at the age of three, she is an extraordinary and skilled facilitator for personal and global transformation. 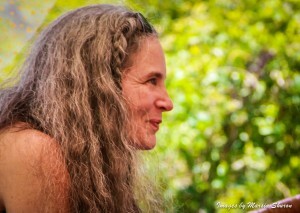 ALisa is the founder of the Women’s Belly and Womb Conference and Daughters of the Earth Gatherings; a Women’s Tribal Event, Priestess Path and the Red Tent Temple Movement. Her recordings, Daughter of the Earth, Calling Us Home, and Women Rise Up contain many of her original chants for circles and ceremonies and some of her beloved friends chants as well. ALisa makes real the sacred for you to feel and experience. She maintains a private healing practice, teaches at conferences internationally and single-parented for over thirty years. She is a certified facilitator of Shadow Work TM and Transformational Breath TM since the early ’90’s and one of the co-founders and main designers of the international training, Women in Power; Initiating Ourselves to the Predator Within. She teaches several workshops, including The Right To Be Magnificent, Women Rise Up, From the Garden of Ripe, Juicy Women, the Whole World is Fed, Dare to Be Your Powerful Self, Answering the Call to Your Fierce Feminine Life, Riding the Dragon, and many more. She believes there is a great need for this apprenticeship at this time and is overwhelmingly grateful for the beauty of what the Goddess has brought her in the presence of such astounding and committed women who have come through this birth canal of Priestess Path. There have been presently nearly 400 women who have passed through these gates and thousands who have worked with her over time in other programs. reminding us we are daughters of the earth. with the power we’ve been taught to fear. ALisa teaches us to name our fears and redirect them for better use. roaring with us, ferociously, intensely, honestly. singing with us, sweetly, fiercely, honestly. diving with us, breathing fully, purposefully, honestly. by modeling her work in her body, her voice, her mind, her spirit. Dare to walk with this woman. will not work on our visions of tomorrow. Breathe, sing, drum, dare, dive into the woman you are born to be. ALisa is action, full commitment, no holding back. I am who I am because I’ve walked with ALisa. I am becoming my highest vision because ALisa showed me how. she’s taught me how to dance by taking my hand and showing me. To become a woman leader who is bringing her passionate vision forward in service to life on our beautiful earth. To be part of a powerful network of committed women who are ready to collaborate in vital and timely ways. Initiation and Integration for a woman on her spiritual path home. Remember the lions at the gate of your innermost desire? Those barriers on your spiritual quest that stop you in your tracks and say, “Turn back here or you will be devoured?” You know what I mean don’t you? (She smiles.) The following is my experience of the top seven gates that are barred and locked when women want to push back the world and make room for themselves. These are possible inner conditions that they face. They are very real. And, they do have solutions of which one must be able to look outside the box to find answers to. Here is where many turn back. Let’s see if any resonate with you while you are deciding about this invitation life is offering you. “Oops. Too late now. I don’t know where I put it. Which dates are they again? I don’t know. I’m not really sure. Part of me does and part of me doesn’t. Oh well. I guess I’m not going…..” Lots of back and forth movement with little pro-activity. ” I can’t leave my partner, my mother, my volunteer group, my job, MY CHILDREN!” *Special support is indeed needed for mothering concerns and children are able to experience the greater community or tribe that surrounds them. Now that I state them, I want you to know that I know all these reasons are perfectly valid and reasonable. And they all have creative solutions waiting for you to see. To get through these gates is like pushing in birth. You must make an act of commitment. Then, you will begin to see how, through the impossibilities. It is your life, your destiny, your choice. It is always the right time to choose loving yourself in greater capacities and moving through old stuck patterns that keep you bound to the same path. Women have been conditioned to sacrifice. The path of the Priestess is one of service. And yet the paradox of it remains that only until you learn to choose yourself fully can you really give away from an authentic and healthy place. What is my wisdom, therefore, for the above reasonable gates? Simple. Just to speak of these gates can be touchy because the barriers look so real. The real answer lies in what is your right next step on your spiritual path. Look inside. Consider where you will be in your life without the apprenticeship in one year and then again if you did it. I commit to support you if you get stuck. Blessings upon you my sisters whatever your choices! It is all for our growth! May you walk in your beauty and power in service of the Goddess. I am committed to you. How is this women’s mystery school designed? We will meet for eight weekends over a nine month period (September -June). You will be arriving in Massachusetts on Friday evening by 7pm at various locations upon which you know in advance. One is a journey to a cave in the Catkills of NY. We will be working together from Friday to Sunday evening at approximately 5pm. You are free to leave at 6pm after a community take down. There will be a floor space option available for rustic overnight lodging. Some participants prefer to stay in local B&B’s during the weekend. Delicious lunches are prepared and shared among the participants. The group is a maximum of 30-32 women. There is almost always a waiting list for Priestess Path Apprenticeship so plan early. If you then decide to enter the apprenticeship, your deposit is what saves your place and your registration form. If there are any concerns about a right fit for you and our program you will be contacted to discuss the concern before you are fully in. Women in the apprenticeship need to enter this year with a high level of commitment to both their own growth and to the group’s. Although highly magical and rewarding, it will also be demanding and intense. ALisa will be working with you throughout the apprenticeship and guest teachers and guides will weave their wisdom and skills into that experience. Each weekend is designed to powerfully move you forward in your life as you deepen your connection with Spirit and the mystery of who you really are. Priestess Path Apprenticeship is a one of a kind rare experience of deep and transformative immersion that not only delights women but changes how one relates to oneself for the rest of one’s life. Honestly we wish every woman could experience what is offered here and to receive the bone deep support of the graduates who serve the work who we call “Sisterhood”. Because of the high level of commitment on all levels, physically, spiritually, emotionally and even financially, Priestess Path gathers women in each generation who are highly committed, very courageous and ready to take what is presented here very seriously. A woman is usually very called to be here and somehow makes it happen for herself. It is a big decision and on every level a commitment because of the time and energy that this experience requires. The first year your largest responsibility is to fully make Priestess Path your first priority on the weekends that it happens. In between you are living your life and processing what takes place for you here. As the founder and facilitator of Priestess Path, over the years I myself know what it means to choose a program that cost a great deal because I wanted something more than anything. It was scary and I wondered “Will this be worth it?” Doing this actually is where I learned the true value of what is offered in Priestess Path. I would pay someone else a tuition equivalent to what is here and then believe that I might receive what I was giving and found that although the program was a good one, what is here in my own work is way over in delivery again and again. What is here is going to really surprise you and we’ve been told many times that it is priceless. Regarding tuition two things that are happening simultaneously. Something is present here that cannot not be transmitted or given via monetary measures. This is the love, dedication, beauty, power and groundswell of support that is given from heart and soul. Priestess Path is rooted in the sacred. The other place is to secure and safeguard Priestess Path as a sustainable business. Having been in women’s culture for a long time and having knowledge of the effects of classism and financial hardships faced, tuition is indeed a stretch for many. And for some this stretch is neither possible or plausible with distance travel, childcare, and present resources. For those who are determined to make it happen all I can express is that the beauty, the adventures, the variation of each weekend unfolding in extraordinary ways and the presentation is going to supersede what you might expect. Many business coaches have looked at what I am offering and always implore that I raise my prices by many thousands of dollars. It is all ready enough and with this we can maintain what is here through time. I purposefully have refused. Instead what I want you to know as you consider this is that what is here will meet you and you are worth it. If you want to do this, I want you to. I know it will be a stretch for most of you but I have seen hundreds of women rise to the task of figuring out how she is going to do this. I sometimes equate this with you knowing for sure that it is well worth what is the equivalent price of an old used car. It is way beyond that value. You are going to travel your life in this vehicle and it won’t break down. You are worth way more than this right? If you needed an old car you might figure out how to do it but you, you my dear are way, way, way more valuable. Together we bring forward what is needed. Tuitions have been rising each year but not by thousands but rather by a few hundred dollars. To be transparent, the reasons for this are many. We want to continue to support our conference centers who in their own right are owned by brave people who offer transformational work a place. It is not easy to have the freedom to do the kinds of things Priestess Path offers and to have the space women need to express themselves safely. Our conference centers are often struggling to keep going and we need to meet their rising costs to sustain the sacred sites of where the work takes place. The second reason is new. In the last few years it became obvious that in order to continue the work that is here I could no longer carry it in the present structure I was in. There are women graduates who have been with me for many years out of the love for this work and there is also my need women who will hold this vision with me full on. For this reason we also have in our business structure now a “core” team to assist in the production of Priestess Path and this small core plus contracted office help are now compensated financially. Temples are made and unmade, untold experiences are laid out before you and massive organization goes on. This is not a simple women’s group. Instead it is a mystic guided living experience with living temple, sacred symbols, archetypes and ceremonies for you to enter into. Core is truly living embodied priestesses in their magical work at best. Because of who they are and their dedication to the sacred though they are somewhat compensated (because really it is beyond monetary) like myself there are things they cannot be paid for and that is their true and pure love which you will receive by knowing them. At this point core consists of our director, Jessamyn Evans and our co-director Crystal Arthur. Jessamyn in her position also interviews, tracks and trains a small group of dedicated graduates who travel the entire nine months with you in service. Core and these women are who we call Sisterhood in Priestess Path. And lastly my own part in tuition. Many years ago now my main livelihood was my large healing practice where I served individual clients. As I began to facilitate Priestess Path a few things began to happen. Over time there were more and more graduates who I was interacting with in my life because I care about the women I work with. This was not sustainable with my time because I was constantly in what is known in business as unbillable hours. It finally dawned on me that I needed to make Priestess Path my nearly full time work and that the tuition women were paying would actually be a lifetime of access to me in some level. I also saw over time that by doing so I was able to serve in other places such as the Red Tent Temple Movement without costs because Priestess Path afforded me the time and ability to invest in other women’s initiatives that I believe uplift women, especially women who will may never be able to afford Priestess Path. This is primarily where my income comes from and out of it all the business expenses and the taxes as well. When I put this in an hourly wage it is not too unlike what most people are being paid and then when the hours really burn for me, perhaps at times even less. The work of women is my lifetime dedication. So as you decide what to do and what not to do this is what is here on our end. A dedication to keep our costs lower than what they could be and sustainable for those who are holding what is here. The cost may come down to you choosing to invest in yourself, your transformation, your experience and out of that actually is a lifting rather than a crashing or debt. Many women work for some years with the goal of doing Priestess Path before they enter. Some have stories of how once they committed the way opened for their tuition to be more easeful. I do not recommend that women magically think their way into Priestess Path. It deserves a well thought out financial plan and a willingness to stand behind your plan with action steps. Likely it will stretch you. Some have even done fundraising among community to make it happen. We do offer a payment plan over the year for those who need that. There are no trades or barters accepted for this program. There is no scholarship program. And frankly, Priestess Path is hard work, strict attendance, and a large investment towards your own growth. The up side is that there is nothing like it and you will likely consider yourself blessed to have this rare opportunity in your life. If you want to enter Priestess Path the steps are as follows. 2. Download this enrollment form and fill out with short answers. This form comes in three forms in case you have trouble downloading it. 3. Once you fill out the form, please keep print a copy and send the form with your deposit to She Loves Life PO Box 13 Baldwinville, Ma 01436. Checks can be made out to She Loves Life. A credit card payment is acceptable with your deposit only. Priestess Path deposit for 2018-2019 is 1200. Please examine cancellation policies and understand how deposits are handled. Your deposit for Priestess Path is non-refundable. Do not send a deposit without reading this. July 16th, 2018 to August 15th, 2017, 600-of your deposit is non-refundable and the remaining 600 is returned. After August 16th, 2018 thereafter for this session, your entire deposit of 1200- is non-refundable and non-transferable to other programs. No part of the non-refundable deposit will be transferable to any other program that ALisa Starkweather facilitates. If you cancel after August 30th, 1000- can roll over to the following year of Priestess Path should you choose this option. The tuition however may differ. This is granted for one year only. If you are on a waitlist, your entire deposit is kept but not deposited until a space is open. You will be contacted first to see if it is still viable for you to join our circle before steps are taken however. If you are considering this commitment MOST women choose to do both years. Because of what we have found over time, the second year is an important part of our work together. Reflect carefully because if you are only thinking of nine months in your planning you may feel the tug later for longer immersion. When Priestess Path opened in 1998, the first cycle that went through asked for a second year to continue the depth of their work and connection with one another. An optional second year was first offered in 1999 that is a totally different experience than the first year. Since that time, sometimes nearly all of the members of the original first year group commit continue in a second year of Priestess Path. This is by no way mandatory but often is what Priestess Path women choose because they love the experience they are having together. The second year is very different than the first. It focuses on a woman’s individual goals and brings the apprenticeship into her every day life. From October through May, the second year meets five weekends, every other month on different weekends than the first year. There is a first and second year of Priestess Path occurring each season. Over time, we have seen that women benefit greatly by having a full immersion of both years. The second year requires more in between weekend commitments as you choose your daily practices.